Thanks to some new Heated Pools in Murcia (City) (City) submitted each day, Swimia.com is escalating daily the number of stored pools. Please don't hesitate to get in touch with us if you discover any inaccurate or incomplete knowledge. If you're visiting Murcia ensure you know the rules and regulation for swimming as they may not be the same as in your house town. The best pools to swim are definitely indoor olympic pools. Are you a normal swimmer? Do you visit exactly the same Heated Pools in Murcia (City) (City)? Please check that all the details for your aquatic center are correct and get in touch with us if you discover any mistake. We presently have the following Heated Pools in Murcia (City) (City), but we are continually grateful for any corrections or contributions. Get in touch via our get in touch with form. Are you on holiday and want to preserve fit and healthy? 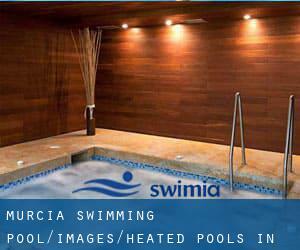 Swimia.com offers you the painless and quickest method to find pool near Murcia. Calle Lope de Rueda, 10 , Infante Juan Manuel , Murcia , Spain (Postal Code: 30011). Among all the activities supplied by the center, if you are thinking about swimming you will appreciate 25 meters x 12.5 meters, Indoors. Just in case you need to get in touch with this Pool just before dropping by, we only know the phone number. Updated on 2019 Avenida de la Marina Española, 10 , Murcia , Spain (Postal Code: 30007). Among all the activities provided by the center, for anybody who is considering swimming you can take pleasure in 25 meters x 16.67 meters, 8 lanes, Non-Chlorine Sanitized, Indoors. Just in case you need to get in touch with this Swimming Pool prior to dropping by, we only know the phone number. Avenida Juan Carlos I , Espinardo , Spain (Postal Code: 30100). Among all the activities supplied by the center, if you're considering swimming you'll appreciate 25 meters x 12 meters, Indoor/Outdoor. Just in case you want to make contact with this Swimming Pool before dropping by, we only know the phone number. Calle Aljada, s/n , Puente Tocinos , Murcia , Spain (Postal Code: 30006). Swimmers like you reported 25 meters x 12.5 meters, Indoors. Unfortunately we do not have the email address of this Swimming Pool, but we can give you the phone number. Updated on 2019 Antiguo Cuartel de Artillería , Calle Cartagena , Barrio del Carmen , Murcia , Spain (Postal Code: 30002). Swimmers like you reported Olympic size x 25 meters, Indoors. Phone number and email address are number for this Swimming Pool. Calle del Mar Menor, 14 , Santa María de Gracia , Murcia , Spain (Postal Code: 30009). Swimmers like you reported 25 meters x 12 meters, 6 lanes, 1.8 meters - 2.5 meters depth, 1.8 meters - 2.5 meters depth, Indoors. 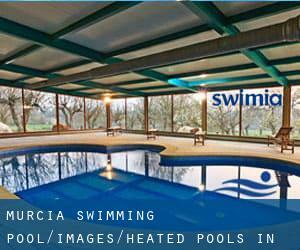 Unfortunately we do not have the email address of this Pool, but we can provide you with the phone number. Calle Polideportivo, s/n , El Palmar , Spain (Postal Code: 30120). This sports center provides 25 meters, 6 lanes, Outdoors. For this Swimming Pool, only phone number is number here.